Finland-based Aktia Bank is implementing Accuity’s Global WatchList to provide regulatory sanctions and other compliance data. The solution covers politically exposed persons (PEPs), companies, vessels, goods, countries and payment information. Accuity says that Aktia’s decision to sign for the Global WatchList was driven by the compliance needs and the need to improve the efficiency of the bank’s core banking software – to be able to provide a faster service to online/mobile customers. Niklas Lemberg, director of payment services at Aktia, comments that the bank decided to be “proactive” in addressing these requirements. “Aktia Bank needed a data provider that could deliver reliable information into its new core banking system in the correct format, providing easy to manage updates, whilst reducing the bank’s risk exposure,” the vendor states. Aktia’s new core banking platform is Temenos’ T24 – but it is still in the implementation mode. The go-live is provisioned for H2 2016. On the way out is a legacy development by a local vendor, Samlink. The bank embarked on this major IT revamp in 2013. The original budget was estimated at €30 million, with the go-live scheduled for late 2015. However, the project budget has nearly doubled since then – and now stands at €55 million – and the launch of T24 has been pushed back. 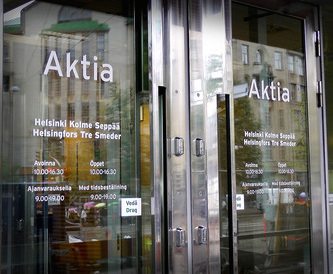 The bank’s CEO, Jussi Laitinen, concedes that the substantial shift in the date for the switchover means more expenditure for Aktia Bank, but points out that the delay is necessary “to ensure the smoothest possible transition”. In parallel, the bank is in the process of merging with its subsidiary, Aktia Real Estate Mortgage Bank. Norway-based banking tech vendor Evry will provide Finland’s Aktia Bank with the “entire value chain for card payments”, including virtual debit and credit cards for the bank’s digital proposition, Aktia Wallet.